Dreamy summer holidays with no boring bits? Done. Life’s a beach with these crafty projects and stickers. Need an activity book to keep you busy in the sun? Take a dip in here. 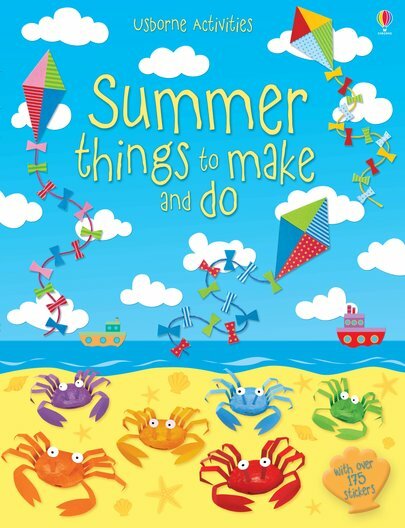 Heaps of Usborne activities just made for sunshine and blue skies. (Plus over 175 stickers.) Make a fishing boat mobile. Paint a seaside town. Create a summer basket. Draw sparkly ice creams. Unlimited holiday fun. Don’t do summer without it.